We’re pleased to announce that PReCePT has been shortlisted for a Health Service Journal (HSJ) Patient Safety Award in the Maternity and Midwifery Services Initiative of the Year category. The Patient Safety Awards recognise, reward and thank the hard-working teams and individuals who are improving healthcare outcomes for patients even in times of austerity and workforce shortages. PReCePT, which stands for the Prevention of Cerebral Palsy in PreTerm Labour, is a quality improvement programme originally developed in 2014 by Dr Karen Luyt, a neonatologist at University Hospitals Bristol NHS Foundation Trust, in collaboration with colleagues here at the West of England AHSN. Through PReCePT, women going into early labour under 30 weeks are offered magnesium sulphate, which helps to protect their babies’ brains. As a result fewer babies are likely to develop cerebral palsy, improving quality of life for both preterm babies and their families. A dose of magnesium sulphate costs from just £1. Since the initial project, PReCePT has been selected by NHS England as one of the AHSN Network’s seven national adoption and spread programmes for 2018-2020. PReCePT is also running in tandem with the PReCePT Study, a research trial nested within the national programme, funded by The Health Foundation and in partnership with CLAHRC West. This aims to assess the effectiveness of two different quality improvement approaches in implementing the project across a subset of maternity units. “I’m absolutely delighted that PReCePT is in the running for an HSJ award. 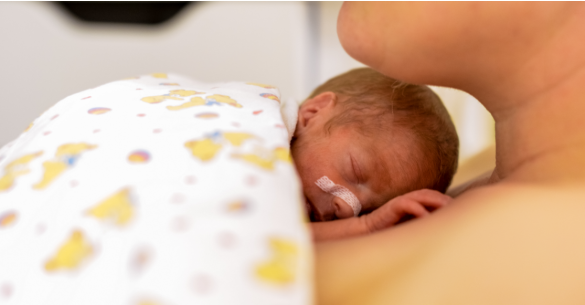 Being shortlisted is testament to the hard work and commitment of midwives, obstetricians and neonatologists in every maternity unit across the country, as well as everyone behind the scenes from the AHSN Network”. “I am immensely proud that the West of England AHSN has been a core partner in the roll out of this initiative for mothers and babies across England. This shortlisting is great news for the programme, so we’ll await the final results with excitement and anticipation”. The next round of judging begins on 9 May, when the team will present the entry to a panel of judges. The winners will then be announced on 2 July at Manchester Central on the first evening of the Patient Safety Congress. Congratulations to all involved in the project who have contributed to this life-changing initiative. And huge congratulations to Bristol Community Health, one of our member organisations, who have been shortlisted for the Patient Safety in the Community category for their ‘New entry 1 Wound Care Service In-reach Model’.